Your home will never be complete without your bathroom. 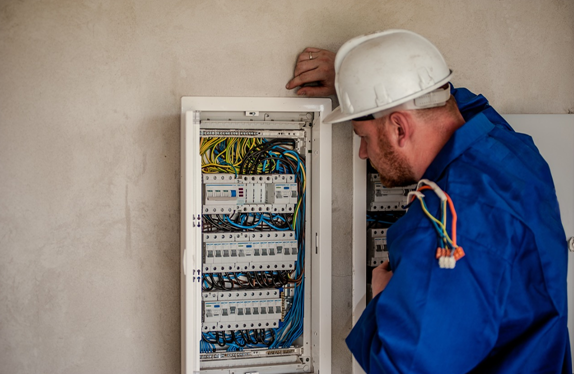 This is an important part of your home because it affects the sanitation of your entire property and the cleanliness of the family. If you don’t have a functional bathroom it can be hard to stay clean and avoid getting sick. 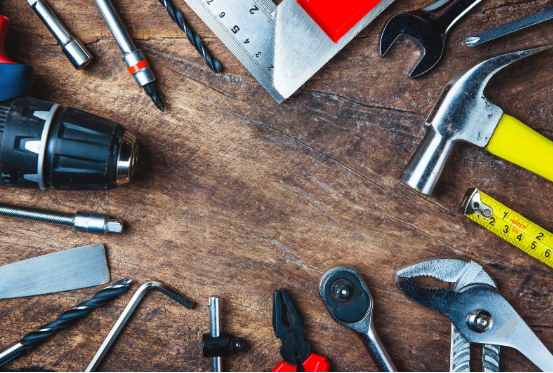 Aside from keeping your bathroom working, you should also strive to make it look good – no one can possibly relax in a bathroom which looks unorganized and unappealing, right? 1. Incorporate some artwork in your bathroom. Hanging artworks in different parts of the house is common in interior design. You can easily purchase these paintings from any home depot store or opt to make one on your own. And while it isn’t as common, you should consider placing some artwork in your bathroom, as well. This is an excellent way of showcasing your personality while giving your bathroom a unique and creative look. Towels and bathrooms are synonymous. Your trip to the bathroom will never be complete unless you bring a towel with you. Aside from its functionality, towels can also improve how your bathroom looks. Depending on the style or theme of your bathroom, you can hang towels in one area or fold them into a basket. If you have a large family, you can personalize hooks for your towels and have everyone’s names engraved on it. 3. Add some seating options. Everyone knows what the bathroom is for – it’s basically used for taking a bath or shower, or prepping yourself before going to work or school. Once you’ve covered the basics, consider adding some seating options in your bathroom. You can purchase a waterproof leather pouf or a cushion which doubles as extra storage. 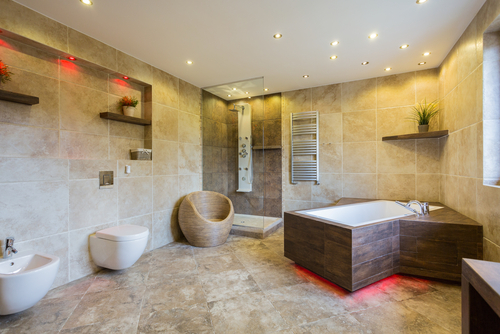 There are many seating options for bathrooms, but it’s crucial that you choose one which doesn’t require too much maintenance and is actually water-proof. 4. Buy a modern hamper. Stained and dirty clothes can be an eyesore inside the bathroom. No matter how luxurious your bathroom is, if used clothing is all over the place, your efforts will be useless. In order to create a modern bathroom and experience better functionality, buy a modern hamper. This means throwing out the plastic hamper you’ve been using for years and upgrading to something new. You can keep your bathroom clean and classic by using a modern hamper. 5. Replace the shower curtain. Your bathroom requires privacy. This is especially true for large bathrooms which have multiple uses. These are just some of the reasons why you should regularly change your shower curtains. Sure, all shower curtains might have the same purpose, but different shower curtains will create a different ambiance to your bathroom. A dull and dingy shower curtain will make your bathroom feel old while a new one will give your bathroom a facelift. A shower curtain might only be one item in your bathroom, but you’ll be surprised how this can change the mood of your bathroom! 6. Level up your mirror game. You’ll need a mirror in your bathroom to ensure that you look good after taking a shower or when you’re putting your makeup on. The vanity area plays an important role in your daily skincare routine. Because of its importance, you should be more than willing to invest in a sleeker looking mirror. 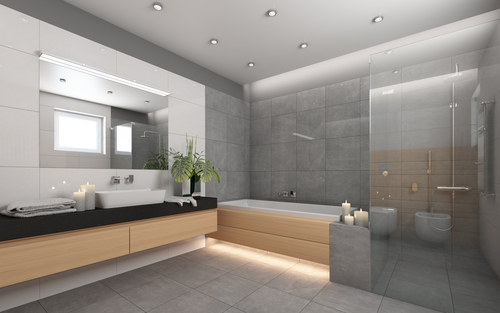 If your budget allows it, you can even buy bathroom mirrors which incorporate different types of lighting. 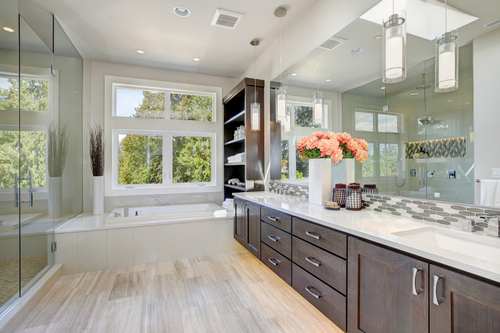 Using this kind of mirror will give your bathroom a modern yet minimal look. 7. Go crazy with texture and pattern in your bathroom. Usually, the color of the walls in the house will be the same in the bathroom. If your house has hues of brown, expect that the bathroom will also be colored in the same way. 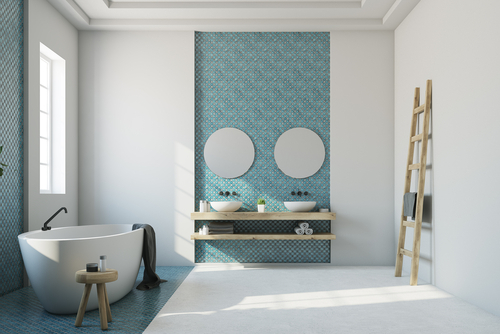 If you want to take a break from the norm, go crazy with texture and pattern in your bathroom by using different tiles and wallpapers. Just make sure that you’re focusing on one or two color schemes only. This will prevent your bathroom from being too colorful. Upgrading your bathroom is actually quite easy. Because of the number of options to choose from, you’ll never run out of ideas to try out. But if you want to narrow down your search, remember to choose a bathroom interior design which suits your budget and style preferences.